Welcome to Byrd First Class Early Learning Center! 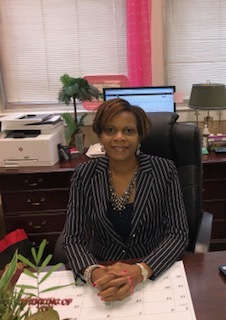 My name is Chery Randolph, and it is an honor to serve as the principal. Being a product of Selma City Schools, my tenure includes twenty-five years in this system. This includes working as a second grade teacher, fifth grade teacher, sixth grade teacher, tutor for various grades, and school counselor. In 2012, I became a National Board Certified Teacher (NBCT) with certification in Early Childhood to Young Adulthood School Counseling. Byrd First Class Early Center is the home to a unique school in the Historic District of Selma with the “Learning Tree” and home to the many Pre-K students of Selma City Schools. Our school’s motto is “Teamwork Makes Dreams Work” through collaboration with teachers, parents, staff, stakeholders, and the many members of the city of Selma. Byrd First Class Early Learning Center has an open door policy and looks forward to collaborations with our community stakeholders. Please contact the school at 874-1620 or Cheryl.randolph@selmacityschools.org for questions or concerns.